Whether you’re buying an existing franchise or taking your own business and turning it into one, franchisees know that it’s a requirement to incorporate a franchise. While LLCs and Corporation tend to be the most common entities chosen, S Corporations have also risen in popularity thanks to the wide variety of benefits that this “pass-through” entity offers entrepreneurs. If you’re thinking about incorporating as an S Corp, but still want more information about what this legal structure can do for a franchise, let’s break the ins and outs of this formation down for you. S Corporations begin as C Corporations or LLCs, which makes it a C Corp with an S Corp tax election. That S Corp election tells the federal government to tax the entity as a partnership and not as a corporation, even though S Corp structures tend to operate in the same manner as corporations. Being taxed as a partnership allows the business to avoid double taxation at the corporate level. Instead, S Corps elect to have profits, losses, deductions, and credits “pass-through” the entity level and taxed only at the shareholder level. Only the wages of S Corp shareholders, who are also employees of the business, are subject to employment tax. What else do franchises need to know about S Corporations? Paying yourself a salary matters. Let’s go back to that bit about the S Corp shareholders and their wages for a moment. Since wages are subject to employment tax, it’s important that employees of franchises pay themselves a salary or “reasonable compensation.” By doing so, this keeps the IRS from reclassifying corporate earnings as wages. Incorporating as an S Corp provides the franchise with plenty of benefits. A few of the most common ones include providing protection for personal assets, saving money on FICA payroll taxes, and allowing businesses to gain credibility with consumers. It doesn’t need to be an expensive, or difficult, process. Not incorporating means your franchise could be subject to legal issues later on or struggle to establish credibility with consumers. Once you’ve invested your initial franchise fee payment, selected your franchise, reviewed the Franchise Disclosure Document, and signed the Franchise Agreement, you’ll need to pick a legal structure to incorporate your franchise business. If you’re not sure which entity to choose, we recommend working with a team of incorporation experts for assistance in filing your documents and streamlining the process of incorporating your franchise. Wait, what about the new tax reform law? 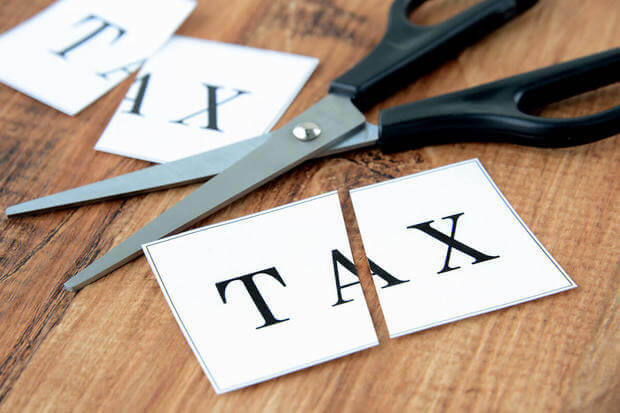 If you’ve heard about the Tax Cuts and Jobs Act (TCJA), AKA the new tax reform law that gives S Corporations and other pass-through legal entities a 20 percent deduction for qualified business income, you might wonder how it will affect filing your taxes as an S Corp. The good news is that changes, while scheduled to take effect in January 2018, will not affect tax returned filed for 2017. For franchisees in need of extra filing assistance, I recommend meeting with a tax professional as soon as possible to review and determine which changes apply to your specific situation.